Stop lamenting the current price of gold and silver and questioning the validity of owning PMs because without gold and/or silver it will be almost impossible to survive what is to come. No one knows when, but when it does, and it is a historical certainty, are you really going to care what you paid for your gold and silver? 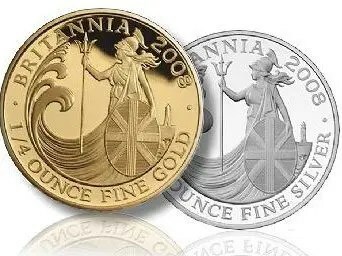 So says Michael Noonan (edgetraderplus.com) in edited excerpts from his original article* entitled Gold And Silver – There Are Reasons Greater Than Demand For Owning Them. Incidentally, for any self-doubters, especially those who paid as much as 50% more for their gold and 100%+ more for their silver than current prices…we still hold some gold purchased at $1800 per troy ounce and some silver at $48ozt. That just happened to be where gold and silver were at the time. We were engaged in a consistent plan of purchasing, regardless of price. There were specific reasons for wanting to own physical gold and silver, and none of those reasons have changed. In fact, they have increased. We now live in a financially insane world. The government tells everyone that 2 + 2 = 5, consistently, and people continually accept the lies. If you listen to the government and the bought-and-paid-for mainstream media, all is well in this country, when in reality, we are dealing with recession, inflation, joblessness, and general instability. The biggest problem is debt. Actually, it is the core issue: bury people and countries in debt, and demand their hard assets as payment in return, aka the Rothschild formula (“Give me control of a nation’s money, and I care not who makes the laws.”) which has been in use for hundreds of years. The debt burden is now so onerous that it is becoming almost impossible to keep under control – and the elites are so skilled at getting their false message out, through governments, that people are more than willing to believe the lies. Greece was a warning shot for the rest of what passes for the (not so) free world that it is mathematically impossible to sustain the growing debt burden in any given country with no ability to ever pay it back. The United States has become a welfare state for too many of its citizens. The largest growth sector in this country is the federal government. The government produces nothing. Everything it spends has to come from the people, or by increased borrowing. It is a tapeworm consuming its host! The Fed has kept the stock market propped up by tapered window dressing. Interest rates are artificially being held low to enable the government and all the banks to keep the debt Ponzi scheme on life-support, which ultimately leads to death, financially. Zero rates means keeping the accumulating interest costs of government lower. Allowing rates to rise to a more normal 3% – 5% would collapse the federal government and all of the insolvent banks which are responsible for every financial problem everyone now faces, except the privileged 1%. No one in the past 100 years – since the Federal Reserve Act was passed and the privately owned Federal Reserve usurped the organic Constitution and took over issuing this nation’s money – has done anything to abolish the Fed. It really is not hard to connect the dots if one truly wants to do so. The information is out there, but few are willing to seek out the truth, and instead, prefer dwelling in the (dis)comfort of debt-laden lives. There was one person who tried to make a difference – John F Kennedy – when he decided to print billions of silver-backed dollar certificates. Interestingly, one of the first official acts his replacement, Lyndon Baines Johnson, did within days of being sworn in was to rescind Kennedy’s order to issue the silver-backed certificates. The elites have their priorities, and puppet presidents must do their bidding. Why aren’t politicians doing everything possible to get rid of the legal (but not lawful) privately owned Federal Reserve Banking system that charges the government interest on the purely fiat money the Fed issues? Very few people in this country wonder why the U.S. government does not issue its own currency, (as it did prior to the Federal Reserve Act of 1913), and does not have to pay interest on the currency issued. One of the largest expenses is the federal government is the debt owed to a foreign entity that controls this country’s own money. Federal Reserve Notes are not money. They are debt instruments. Debt can never be money. Dwell on that thought for a while. The elites use the Federal Reserve to entirely control the government and used FDR to ban gold ownership in 1933. Previously, gold and silver were used exclusively in backing United States Notes and gold and silver coins issued by the U S Treasury. Since 1933, gold has been absent from the public arena, and since 1963 for silver. Many in this country are unaware of the important role gold and silver once played in the American financial system. Prior to 1933, people used gold and silver in a variety of ways in their daily lives and United States issued Treasury Notes, backed by gold and silver, were allowed to circulate alongside Federal Reserve Notes, (debt instruments). People began to equate the two as the same. At that point, the Federal Reserve began withdrawing, and destroying, all US Treasury Notes which, in effect, removed gold and silver from circulation as money. It was accomplished over decades, by design, so people would not notice the change and gradually accept the substituted Federal Reserve Note system. it is incumbent upon your future to take whatever measures necessary for surviving the financial time bomb waiting to explode. it is not important to know what others are doing, but it is critically important to know what others are doing to you, and what you..[should be doing] for yourself and your family. the government will raid private pensions, like Hungary and Poland have done. Your pension will likely become nationalized, and you may receive a 10 year government bond in return for whatever money you have saved. It happened in Argentina just a decade ago. There is ample evidence throughout the world of what a government will do to survive, at YOUR expense. Don’t forget to “tweet“ or “like“ this article and share it with others! You want a reason to own gold and silver instead of anything paper-issued? Forget about statistics and the demand side of the equation. All of the events discussed here, and worse, are on the agenda of the elites to gain world control over everyone. Without gold and/or silver, it will be almost impossible to survive what is to come. No one knows when, but when it does, and it is a historical certainty, are you really going to care what you paid for your gold and silver? We all have choices to make, and we all deal with the consequences of these choices. Do not worry if you paid a high price for your gold and silver. You do not intend to sell it, so any loss is imagined. Stay true to what history has proven. No one knows when the collapse will be realized, but one has to continue to prepare for the inevitable in a world that makes no sense, financially. We were interviewed on this topic, last week, and the audio can be found HERE if anyone interested. 7. Growth In National Debt Is 86% Correlated to the Price of Gold! Got Gold? 9. What’s the Difference Between 1 Gold Karat, 1 Diamond Carat and 1 Troy Ounce? 11. Should You Invest In Gold or Silver, Neither or Both? 18. The Big Banks are Blatantly “Harvesting” Your Money! Got Gold? 22. Spend Your Bernanke Bux Now on PHYSICAL Gold & Silver! Here’s Why! 23. Finally! Gold & Silver “Bars” You Can Carry In Your Wallet! 25. You’re Being Played! Don’t Sell Your Gold! It’s Going MUCH Higher – Soon! 26. Now Available: Debit Cards Backed By Actual Gold & Silver! 27. You Can Now Buy Gold & Silver on eBay! Do yourself a favor and include at least 10% PM’s in your portfolio, which is especially easy to do now that their prices are “artificially” depressed. Remember, long term what goes up (US$) also goes down AND VICE VERSA (PM)!